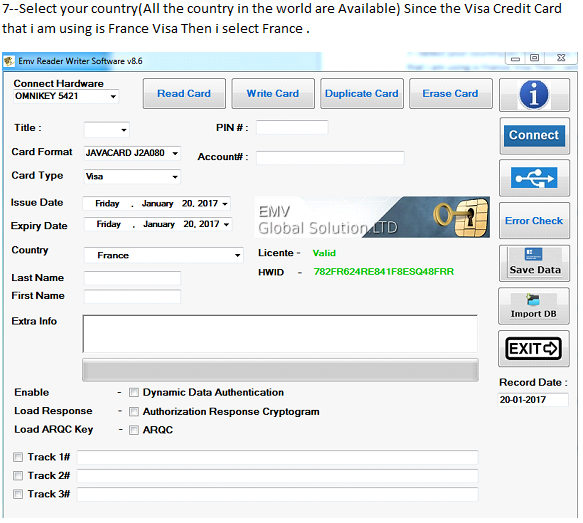 EMV Reader Writer Software v8.6 is the most powerful EMV Smart Card Reader/Writer Software in the world. 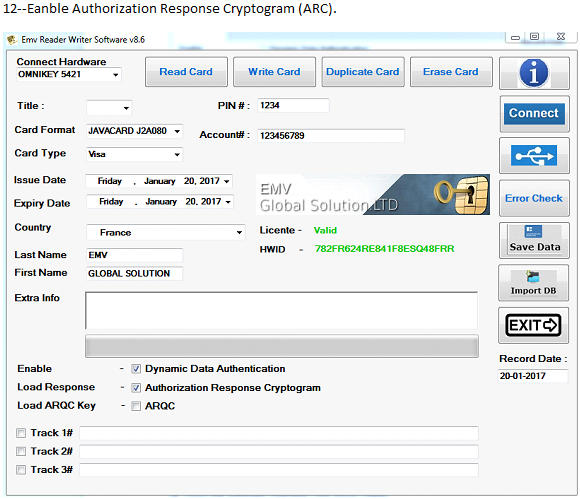 The Package include the EMV Reader Writer Software v8.6 Setup,ARC key,ARQC Keys,RSA Key,Unique License Key,Unique HWID Key and Unique SSL PFX Digital Signature Certificate. 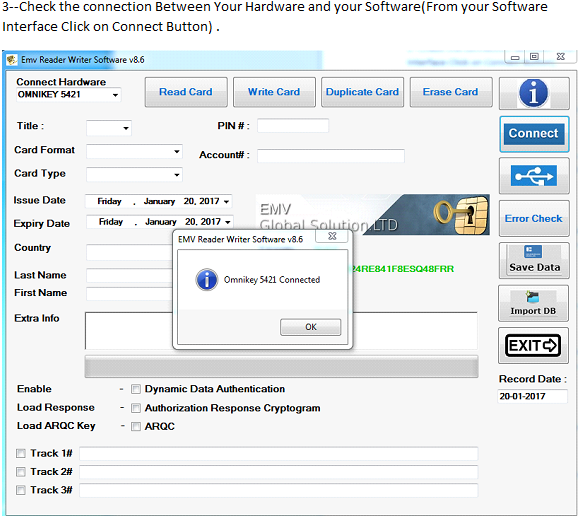 2-)Open the EMV Reader Writer Software v8.6 Folder. 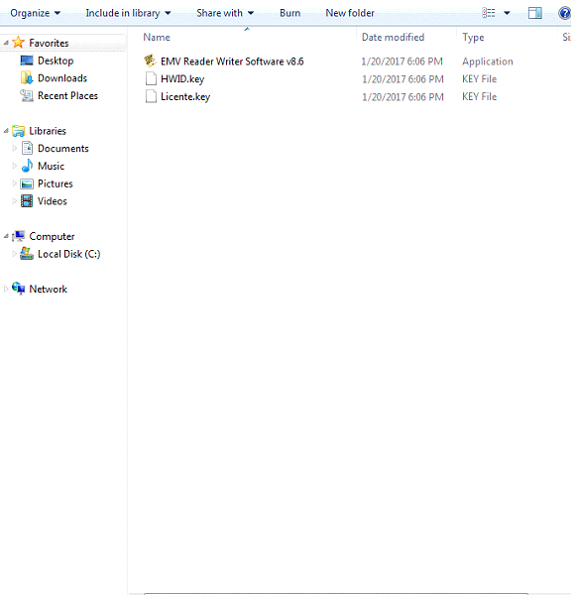 3-)Inside This Folder you have The EMV Reader Writer Software v8.6 Setup file,Your Unique License Key and Your Unique HWID,Run the EMV Reader Writer Software v8.6.exe as admin (Very Important for the License Key to Auto Install and for your HWID to Lond you need to run the setup in the Folder as ADMIN,allow the software 5 Min until is install,once the installation is done you will see a popup showing you your license key and your HWID. Once a gain click Next. 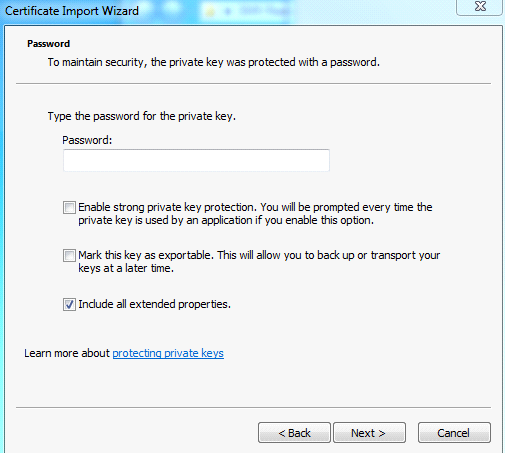 Then a New window will ask you for your Unique Certificate Password ‘Enter the Unique Password that you receive via e-mail. Once is done you will get. 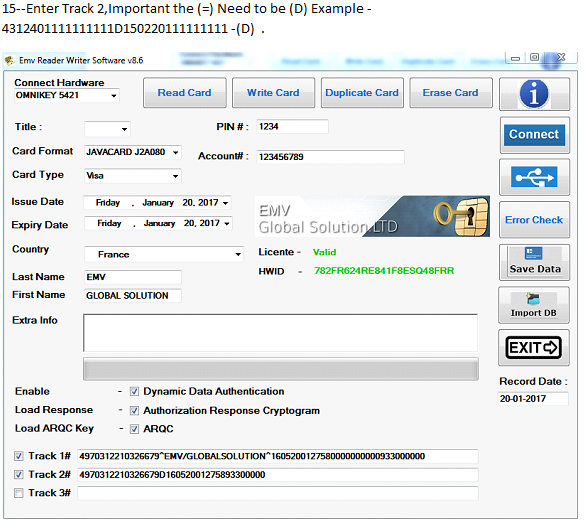 5-)Open your EMV Reader Writer Software v8.6 The shortcut Is on your Desktop.